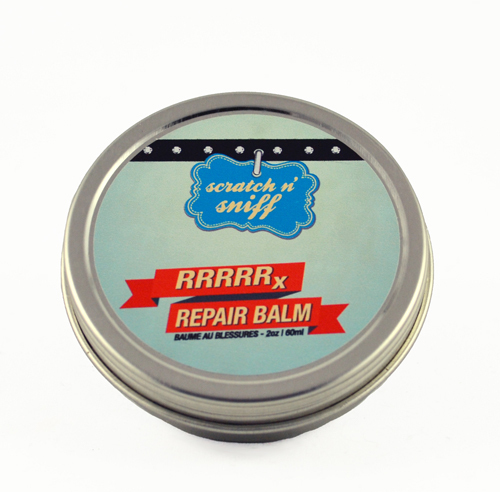 An intensive, anti-fungal, anti-bacterial repair balm with the added soothing benefits of essential oils to calm and comfort minor cuts, scratches and wounds. Apply sparingly as needed to affected area. olea europaea (olive) oil, beeswax, cannabis sativa (organic hemp seed) oil, prunus amygdalus dulcis (sweet almond) oil, calendula officinalis (calendula) oil, caprylic/capric triglyceride and tocopherol (vitamin e). essential oils: lavandula angustifolia (lavender) oil, pelargonium graveolens (geranium) oil, aniba rosaeodora (rosewood) wood oil, thymus vulgaris (thyme) oil and ravensara aromatica (ravensara) oil. Avoid contact with eyes. Keep out of reach of children. Discontinue use if irritation occurs.